1. Set aside a time each day to give violet flame. You can give violet-flame decrees anywhere, anytime—in your car, while doing chores or before going to bed. 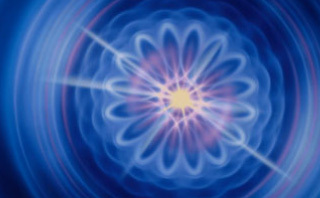 In fact, simply repeating a violet-flame mantra anytime you feel tense, tired or irritated can make the difference. But you will get the greatest benefit from the violet flame if you set aside at least fifteen minutes a day to decree without interruption. The elementals are the nature spirits of fire, air, water and earth who are responsible for taking care of our planet. Elementals who represent the fire element are called salamanders; those who represent the air element, sylphs; those who represent the water element, undines; those who represent the earth element, gnomes. 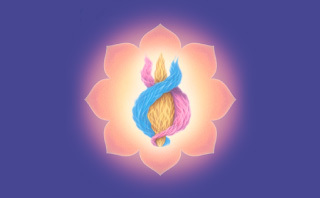 They are only too happy to help us clean up both our auras and the planet with the violet flame. The Masters teach that when you pray and draw more light into your aura, darkness is drawn to it, as if by a magnet. 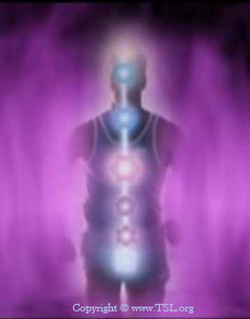 So you need to seal your aura with the white and blue protective energy. 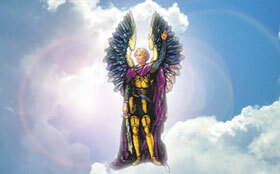 One of the best ways to do this is to invoke the tube of light and a prayer of protection to Archangel Michael. Your prayer to Archangel Michael can be as simple as “Archangel Michael, Help me! help me! help me!” As the Archangel of the first ray, Archangel Michael embodies the qualities of faith, protection, perfection and the will of God. Archangel Michael has personally saved my life a dozen times that I know of and probably thousands of times that I am not aware of. The preamble to a decree is like an invitation. In it we lovingly ask the violet-flame beings—ascended masters and angels—for help and guidance. We generally begin our decrees by saying, “In the name of the beloved mighty victorious Presence of God, I AM in me, and my very own beloved Holy Christ Self…” and include our favorite masters and saints. Our connection to them is through our I AM Presence and Holy Christ Self. In the name of the beloved mighty victorious Presence of God, I AM in me, and my very own beloved Holy Christ Self, I call to beloved Saint Germain and the angels of the seventh ray. I ask you to___________. I ask that my call be multiplied and used to assist all souls on this planet who are in need. I thank you and I accept it done this hour in full power, according to the will of God. Mark Prophet used to compare this acceleration to a train. It starts out “chug…chug” and pretty soon it's going “chug-a-chug-a” and then “chug-chug-chug-chug!” The faster it goes, the greater the action. If you try any of the Save the World with Violet Flame! CDs, you will hear the correct way to increase your speed. Most people don't see the violet flame in action with their physical eyes. But when you close your eyes and concentrate on the energy center between your eyebrows, you can sometimes “see” the violet flame at work with your inner eye. Once you have memorized some of the violet-flame decrees, you can close your eyes and try this visualization. See yourself surrounded by a violet-flame pillar about six feet in diameter and about nine feet high. It can extend from beneath your feet to well over the top of your head. As you give the violet flame, pictures of past lives may come before your mind. You may see yourself as you were in ages long past. Or you may just have the impression that you were in a particular time or place. If the records are painful—and they usually are because your soul is crying out for resolution—you may feel sadness or regret. But you will also feel liberated because you know that as you give your violet-flame decrees, you are transmuting the records of your past karma. It's important not to feel burdened by the negative record of a past life. We have all made mistakes in the past or we wouldn't be here today. Forgive yourself and move on. Be grateful that you are here and that you have the opportunity to erase those records with the violet flame. People have different experiences when they use violet-flame decrees. Some repeat them diligently for months before they have any confirmation that the decrees are working. Others get spectacular results the first time they open their mouths. I hope you will know the joy of becoming one of the thousands of people all over the world who have transformed their lives with this miracle solvent—the highest gift of God to the universe. Take the Violet Flame Challenge! Shine the powerful Light of the Violet Flame wherever you desire change. 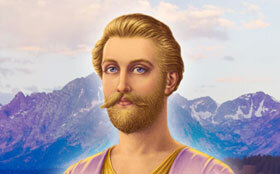 Receive a daily email with inspiring quotes from the masters and archangels of the seventh ray! After 30 days, see what transformative changes happened in your life! Sign Up for the Violet Flame Challenge! This article was taken from the book Violet Flame to Heal Body Mind and Soul by Elizabeth Clare Prophet.